When Is Removing Birds Nests Okay? While birders may enjoy playing host to nesting birds and watching parents raise their young, birds do not always build their nests in safe or suitable locations. Before removing bird nests, however, it is important to understand local laws involving wildlife removal as well as whether or not removing the nest is safe and comfortable for the birds. Before removing, altering, or interfering with any bird nest in any way, determine whether or not the disturbance is legal according to local, regional, and national wildlife laws. 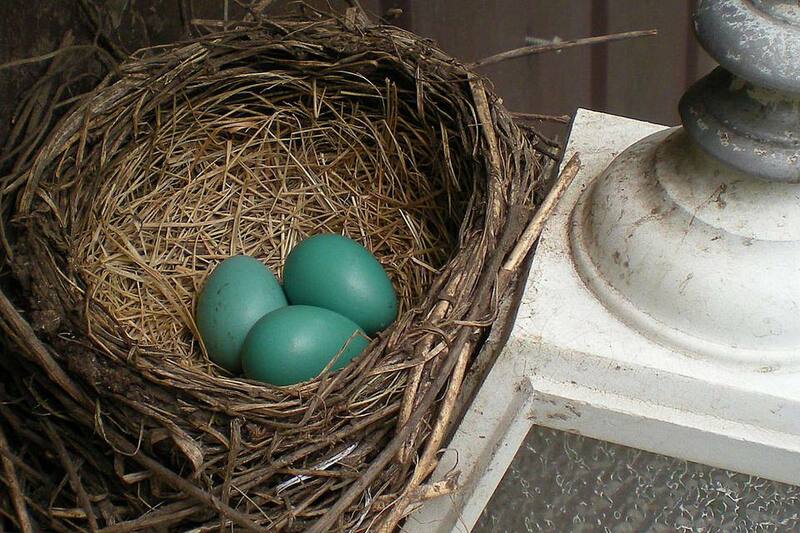 Most birds are protected species and tampering with a nest could lead to hefty fines or other penalties. In the United States, for example, it is illegal to remove or destroy any active nest from a native bird species, defined as a nest with eggs or brooding adults in it. If the nest has been abandoned or no eggs have yet been laid, it can be removed or destroyed as needed. Nests of invasive birds, such as house sparrows or European starlings, however, are not protected at any time. Laws in other countries may vary, and before interfering with any nest, it is best to properly identify the bird species and learn how local laws could apply to your actions. The nest has been abandoned after the breeding season has ended. The nest is currently unused and has become dilapidated and unsafe for future use. The nest is in a birdhouse that needs to be cleaned out for future residents or winter use. The nest is in a dangerous location and brooding birds could become stressed or injured. If birds have built their nests in these types of locations, it is best to remove the nest and discourage the birds from rebuilding in the same spot. If the dangerous nest already has chicks or eggs, however, contact a bird rescue organization to see if they can take in the baby birds until they are mature enough to leave the nest. It may also be possible to move the nest to a safer location nearby. The parent birds will return to the nearby nest to continue raising their young, and after the fledglings have left, steps can be taken to keep the adults from reusing the unsafe location. Endangered birds that are unlikely to build a new nest if disturbed. Nests of large birds, such as herons or raptors, that will be reused for many years. Raptor and owl nests where defending adults can be aggressive and dangerous. Natural cavities that would be destroyed in order to remove the nest. Any nest in early summer that may be reused for additional broods. Nests that would be unsafe or dangerous for humans to reach and remove. When in doubt, it is always best to contact wildlife officials about nest removal, or to wait until long after the birds have left the nest before taking any action. When it is safe and appropriate to remove a bird’s nest, care must be taken so the nest is properly removed. Double-check the nest for any remaining eggs or chicks, and wait to be sure the healthy birds have all been out of the nest for several days before beginning any removal. Wear gloves when handling the nest to protect against contamination from mites, bacteria, or other parasites that may have infected the nest. If possible, add the discarded nest to a compost pile or dispose of it in a plastic bag so predators are not attracted to the nesting area where young birds may still be at risk. Clean the area where the nest was located, using a solution of one part chlorine bleach to nine parts water. Note: It is not necessary to clean a tree or bush where a nest was located. If you do not want birds reusing the same area after you have removed a nest, it will be necessary to take steps to deter birds from rebuilding. Changing the shape of the surface where the birds constructed their nest by adding a slanted board or spikes to make it less welcoming will help discourage nesting. Putting a carved cat, snake, or owl decoy near the nesting area can give the illusion of danger to discourage birds. Vigilance at the beginning of the nesting season will be critical, and removing nests before they are completed will help urge unwise birds to move to a different area to raise their families. Watching nesting birds is always a treat, but there are times when a nest is not placed appropriately either for birds or birders. By understanding the laws behind nest removal and how to properly remove a nest, it is possible to encourage safer nesting in a responsible way. Are You Pishing Without Knowing It? Should You Be a Pisher?